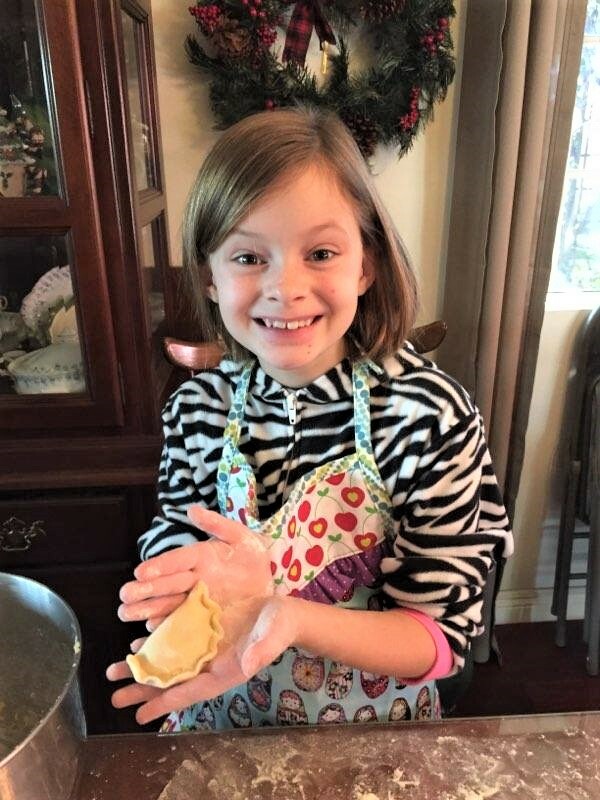 Vareniki, Christmas Tradition | The Happy Wonderer ~ ellen b. 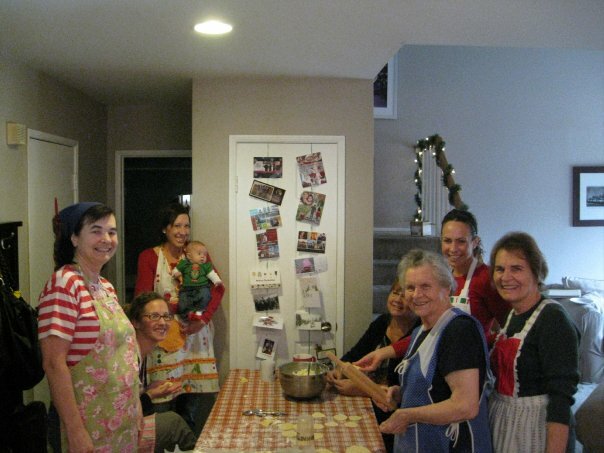 These are photos from over 5 years ago on two separate cooking days before Christmas. I got the photos from my nieces. 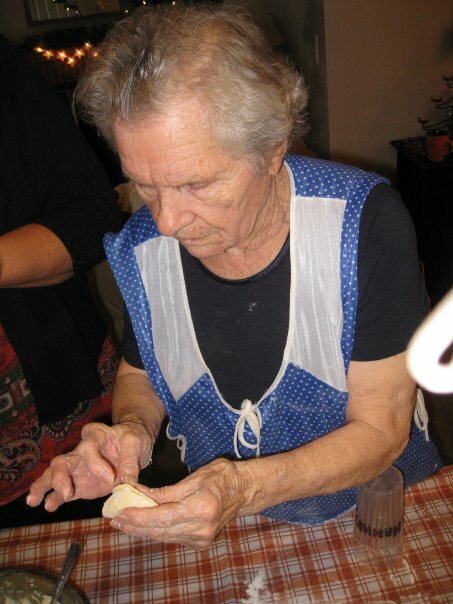 This photo above is from 2012, the last Vareniki day with our mom. 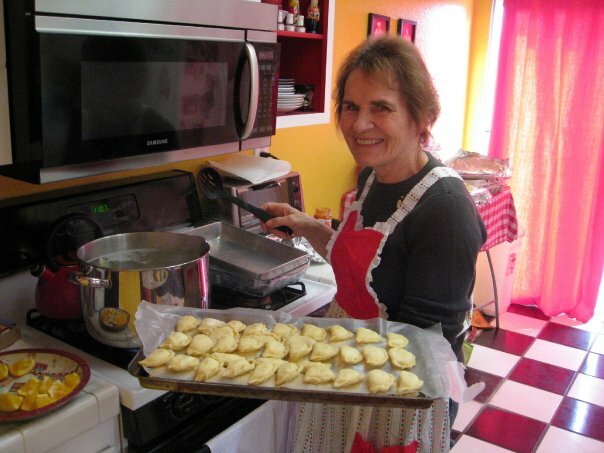 It’s been 5 years now since my sisters and nieces have been able to have Vareniki cooking day with our mom. This event usually happens the weekend before Christmas. Our mom left this earth in September of 2013. I’m proud of my sisters and nieces for keeping this tradition alive without our mom’s guidance. 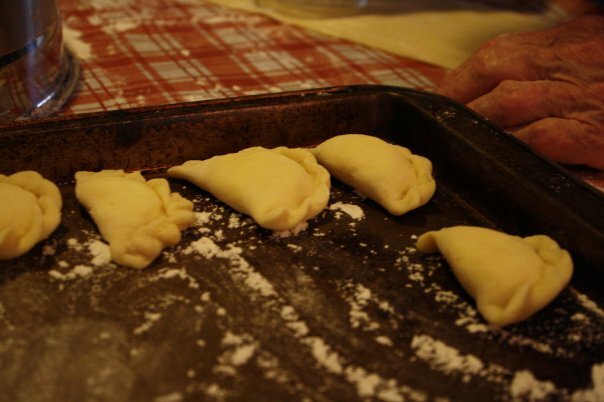 It’s our family tradition to have these filled cheese dumplings for dessert on Christmas Eve. The cheese filling is a lightly sweetened Russian style farmer’s cheese. These filled creations are enjoyed after dinner on Christmas Eve. 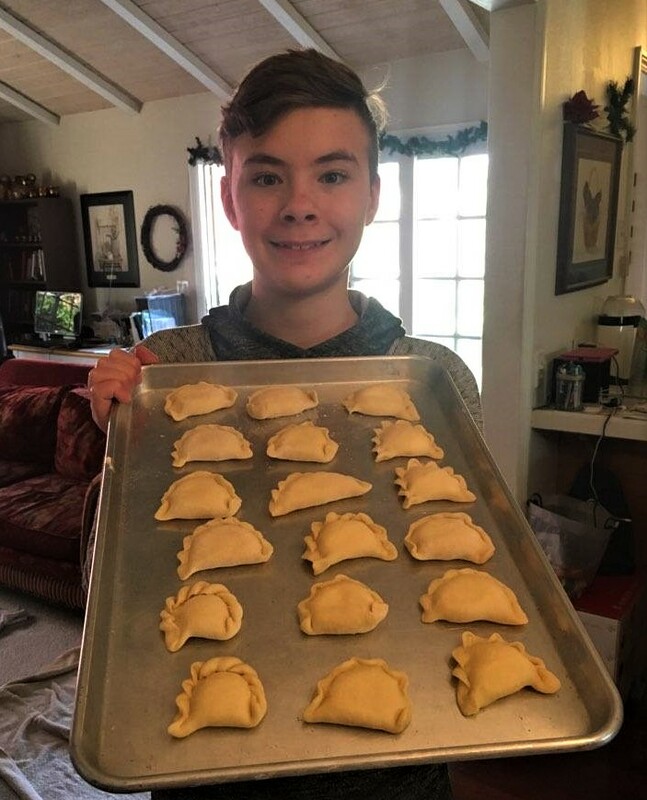 After making the dough, filling them with cheese, pinching them just right like our mom taught us, they are simmered until they float, cooled, and stored for Christmas Eve. To serve they are placed evenly in a glass casserole dish and baked with butter and half and half until bubbly. They are served hot topped with sour cream and syrup. I’m going to have to have a breakthrough and try making these with my girls. We also enjoy them for breakfast. 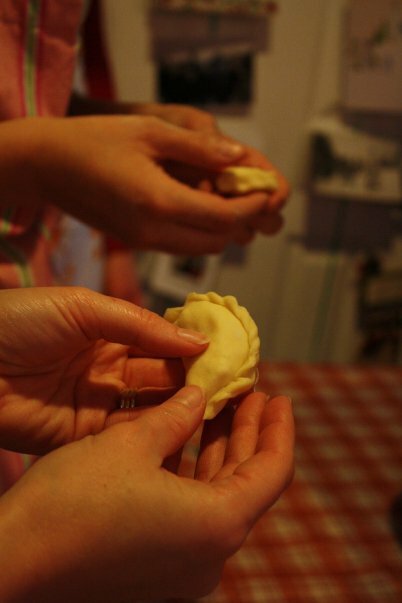 Today my two older sisters, one of my brothers and sister in laws and 3 of my nieces are getting together to continue the Vareniki tradtion. My sister Kathy with her grandson, Jackson. My sister Vera, niece Debbee, sister Kathy, grandniece Avery, niece Melissa, niece Michelle, and sister in law Letty. My niece Michelle teaching her daughter, Avery, the pinching skills. My grandnephew, Jackson. Two new helpers this year from the next generation! 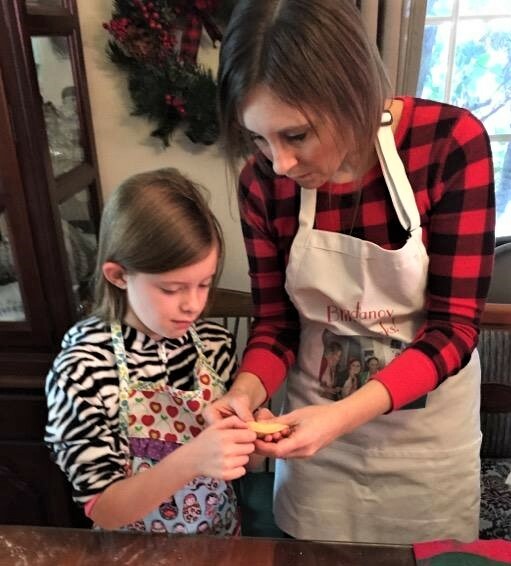 Posted on December 22, 2018 by Ellen •	This entry was posted in Christmas, Traditions and tagged Christmas Traditions, Russian Food, Vareniki. Bookmark the permalink. …Christmas is all about traditions, Merry Christmas Ellen. Hello, they look delicious. What a great tradition. I want to thank you for all the visits and comments on my blog this past year. I am looking forward to visiting your blog in 2019. I wish you and your family a very Merry Christmas and a happy New Year! I love food traditions that are passed down through the generations. The old country delicacies take a lot of time but are oh so good and really are becoming a dying art. My mom used to make so many delicious things reserved just for Christmas but in my lazy youth I did not want to participate and now I wish I had. And a very Merry Christmas to you and your family Ellen. Kudos to the generations for caring enough to keep the tradition alive! 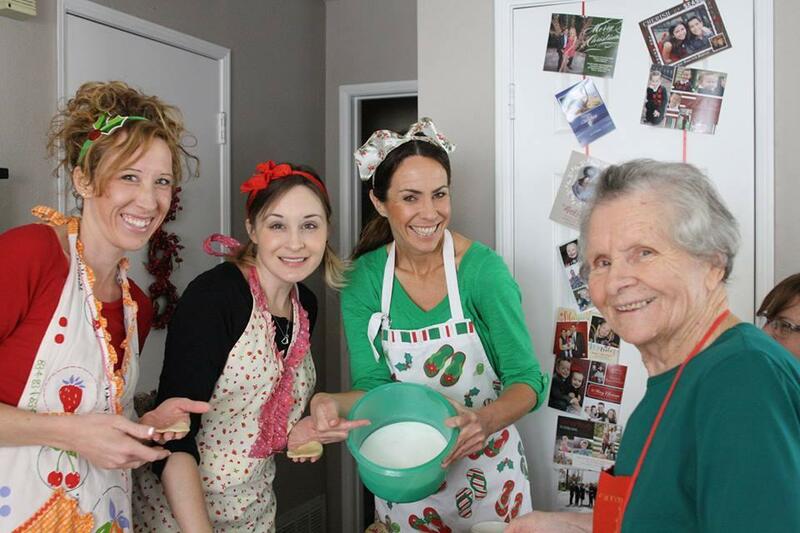 Tradition is very important to keep family stories going. Merry Christmas to you all! 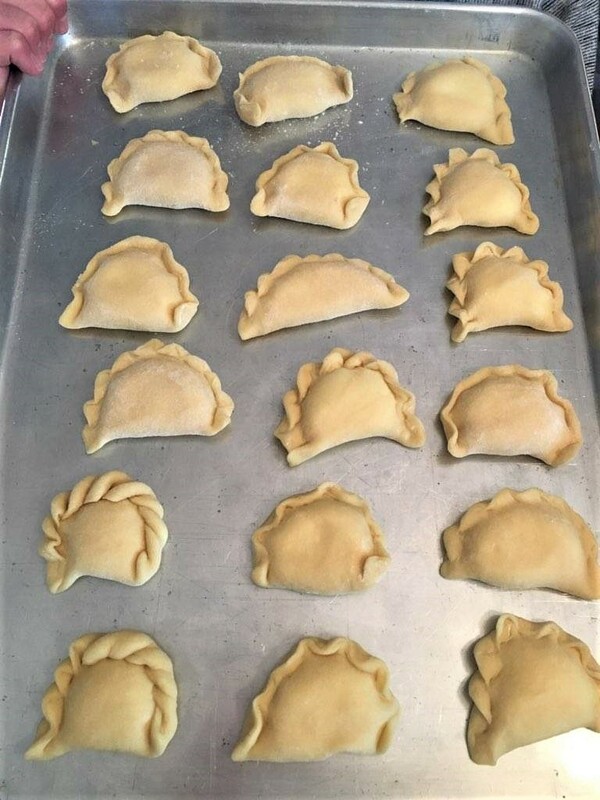 At my childhood home we also called them vareniki but now most everyone calls them perogies. Wishing you a very Blessed Christmas. Ellen, what a beautiful tradition. 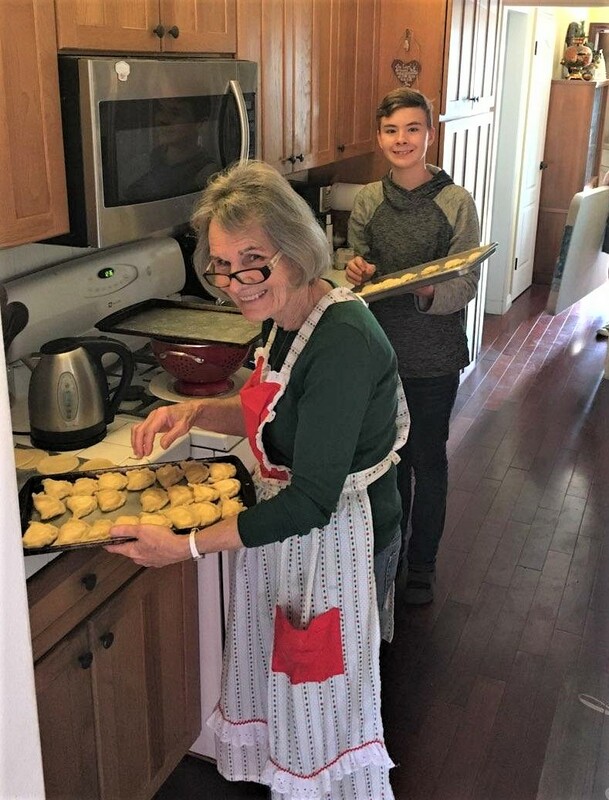 I’m all about keeping family food traditions going, and it makes me so happy to see two generations keeping your mom’s food tradition going. The vareniki sound delightful. Vee, they are closer to a dumpling? Great memories and it’s wonderful to see the family tradition being carried on by teaching it to the littles. Won’t be long I bet before you are teaching it to Addy. And also , by the way, varenki sounds so delicious..,the perfect ending to a Holiday meal. 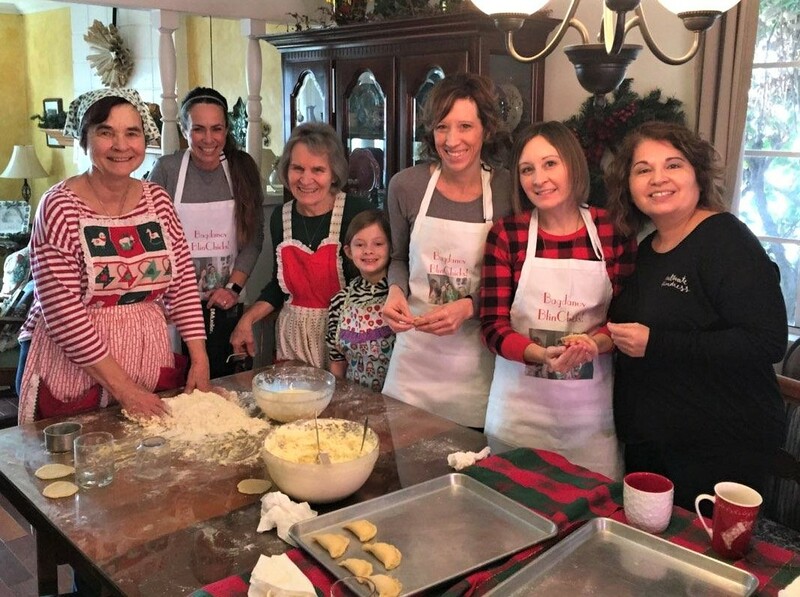 What a wonderful family tradition!